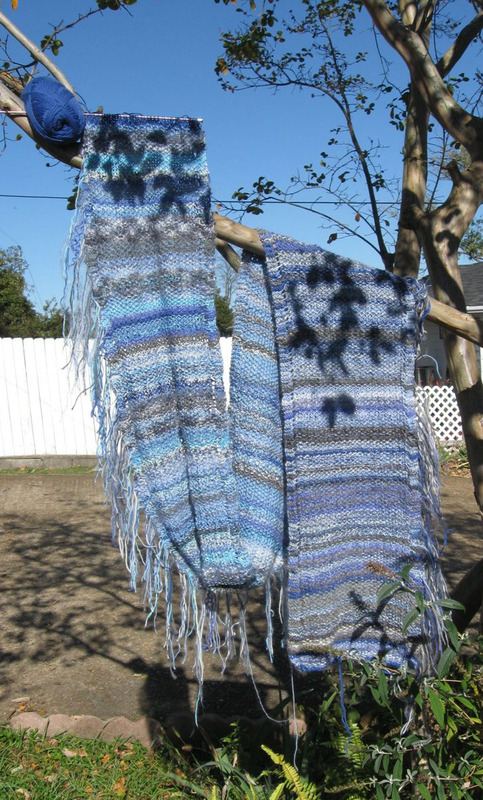 Sky Scarf through October 2012. Only 2 months left to my Sky Scarf project. At a whopping 88 inches at the end of October, the scarf grows as the year wanes. In the wake of Superstorm Sandy, the skies here for the past 3 days have been a beautiful cloudless deep blue. You can see how the skein of blue sock yarn blends into the background sky in this photo. I hope those affected by this monstrous event will be comforted and that sunshine and peaceful blue skies are in their future.